Home > News > What’s all the fuss about FODMAPs? What’s all the fuss about FODMAPs? The term FODMAPs seems to be popping up all over the place lately. You may even have been recommended to follow a low-FODMAPs diet by your healthcare professional. So, what are these mysterious FODMAPs? And do you really need to worry about them, or are they just a passing fad? Read on to learn what you need to know. In summary, the term FODMAPs is an abbreviated name for a group of carbohydrates (sugars) that are found in the diet. Some people have difficulty digesting FODMAPs, and consequently may experience digestive problems after eating them. Fermentable: These types of carbohydrates generate gas in the gut as a by-product of fermentation by the bacteria (also known as microflora or microbiota) that are naturally present in the intestines. Oligosaccharides: Oligosaccharides are carbohydrates made up of a few simple sugars (monosaccharides) linked together in a chain. Disaccharides: Disaccharides are carbohydrate molecules comprised of two simple sugars. Monosaccharides: Monosaccharides is another term for the simple sugars that all carbohydrates are made up of. How do FODMAPs cause tummy trouble? In susceptible people, eating foods containing FODMAPs may lead to the onset of symptoms like flatulence, bloating, abdominal discomfort and nausea. Constipation, diarrhoea or a combination of both issues may also occur. Which foods are low in FODMAPs? Also keep an eye out for products carrying the FODMAP-Friendly symbol, which have been certified as low in FODMAPs, based on laboratory testing. How long do I need to avoid FODMAPs for? A low-FODMAP diet is best followed under the guidance of your healthcare professional who can help to make sure that your diet is balanced and nutritious along the way. The dietary changes generally occur in two stages. First, you’ll strictly avoid consuming any foods high in FODMAPs (usually for around 4-6 weeks), during which time a change in your symptoms may confirm whether you’re experiencing FODMAPs-related digestive difficulties. If you are, the second phase of the diet is used to help identify the specific type or types of FODMAPs that are problematic for you. 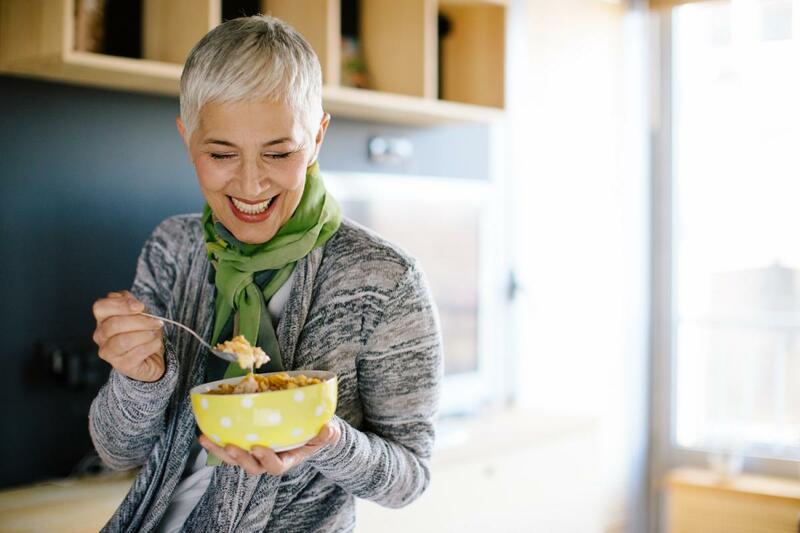 This involves the gradual reintroduction of certain foods into your diet (usually over a period of several months) while your symptoms and responses are carefully monitored. What else can I do to support my digestive health? Consider taking Oriental Botanicals Gut Healing Powder, to support your digestive function and gastrointestinal health. Its ingredients include the slippery elm and marshmallow, which are traditionally used to ease mild gastrointestinal inflammation in Western herbal medicine, and the amino acid L-glutamine, which helps maintain the structural integrity of the mucous membranes in the gut. Oriental Botanicals Gut Healing Powder is FODMAP Friendly certified, free from common allergens, and contains no artificial flavours, colours, sweeteners or preservatives.